Simone is the Communications Specialist and a Retail Associate for Tim's Music, and has been on the team for over 3 years. She is a flute and bassoon player, and has been involved in music for over 13 years. She is also a program leader at Camp Winthers Music Camp, run by the San Juan Unified School District. 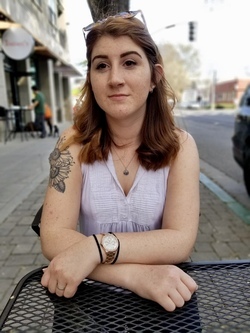 Simone recently earned her Bachelor of Arts degree in Communication Studies with a concentration in Organizational Communication from California State University Sacramento.